1. Introduce yourself - Tell me a little bit about yourself and where you work. What do you mean, where do I work? You KNOW I work at FT! OK, I’m an IT professional working for a small consulting firm. I’ve been happily (well, most of the time) married for 35 years to my husband, Rocco. I love to dance! Sometimes I manage to insert a few dance moves into my FT workout – between the lunges and the pushups. 2. Why did you initially decide to train with Fitness Together? When I was approaching age 50, I did not like the idea that I was going to hit that milestone looking and feeling the way I did. I saw an ad for FT, promising results in 12 weeks*. 3. How long have you been working out at Fitness Together? My initial 12 week trial at FT has transformed into an ongoing important part of my life – for eight years. 4. What are some reservations you had before working with a personal trainer? The first time I intended to come in and sign up at FT, I turned around and left before I made it to the door. My prior gym experiences were uncomfortable for me – I was self-conscious because of all the other people around and the machines were mysterious contraptions. 5. How has working with a personal trainer helped you overcome these reservations? All my FT trainers have been kind and encouraging, and never made me feel self-conscious. 6. How have your personal training sessions helped you achieve your initial goals? Through exercise and improving my nutrition, I lost the 27.5 pounds* I wanted to lose and have kept it off for eight years. But more important than that, I feel stronger and healthier than I have ever been in my life. The past two years have been very stressful for me at work and in my personal life. I’ve been project manager for a mission-critical application development project at work; my mother’s health has been declining; and my husband has retired from his job. I was working many long hours and weekends, but made the commitment to continue my FT workouts and cardio. I am convinced that my health and well-being would not have survived without FT. The stress-reduction benefit of the workout, and the encouragement and support of Nick, my wonderful trainer and friend, and the community of all the other trainers and all my morning workout pals at FT kept me going. 7. What is your biggest challenge when it comes to personal fitness? Working protein into my meals. I love vegetables and fruit and have to make a conscious effort (with friendly reminders from Nick) to add more protein. 8. What advice would you give someone that is leery about working with a personal trainer? You are welcome here – and everyone here cares about your health and fitness. Just give it a try. Food Network’s Chopped. I relate to having to be creative on a deadline. And I learn about foods I’ve never heard of and hope to never have to eat! 10. What is your favorite thing to do in your free time? Travel. Walk with my husband. Cook. If it has to be only one, then: walking to the market in a foreign country or different city, shopping for what we’re going to cook! Most everyone agrees that exercise is a powerful preventive and sometimes an antidote for illness & disability. The older we get, it becomes important to continue or state an exercise program. 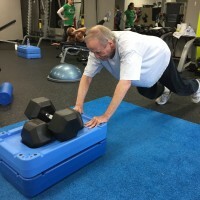 I am 76 years old and can attest to the many benefits available through a personalized fitness program. At age 72 I experienced a life changing and nearly life ending cardiac event. I was overweight with high blood sugar, high cholesterol & high blood pressure. I did not eat to live, I lived to eat and the last thing I thought about was exercising. In short, I was a heart attack waiting to happen. 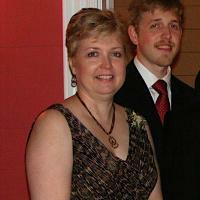 In January 2011, I experienced the type of heart failure that 90% of patients do not survive. 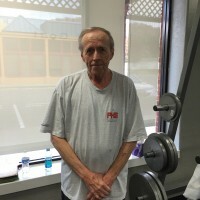 I was in the hospital a few days and then completed 12 weeks in a cardiac rehab program at the hospital. The rehab program provided exactly what it was designed to do in the allotted 12 weeks. The program instructors constantly reminded us that it was essential to continue a program similar to the rehab program being completed. I also noted that several patients in the program had been there before and had experienced more than one heart issue. When I questioned why, most stated that they did not follow the advice given and did not want to change their lifestyle regarding such things as eating properly and especially exercising. I could not imagine coming that close to death and not doing everything possible to avoid a second and possibly life ending event. My next challenge was to develop a plan to continue after rehab graduation. I know that I was motivated to live but also accepted the face that I would need structure and accountability in order to succeed. 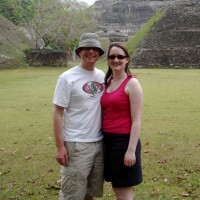 Fortunately for me, I found the folks at Fitness Together in May, 2011. 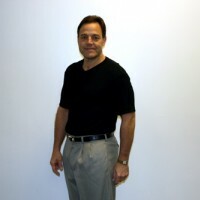 They presented a program that was approved by cardiologist and we started down a path that has lasted 3 ½ years to date and has resulted in a physical & mental fitness level that I can only remember in my 30’s. I can not say enough about the staff at Fitness Together. They are a great group of individuals who are dedicated to their clients. They are all very professional and knowledgeable and over time, have become like family. I go to Fitness Together 4 days a week and feel guilty if I miss a session (which is rarely). A good exercise program can become addictive as it can make an enormous difference to quality & length of life. My physicians continue to be “amazed” (their word) at my recovery and present state of health. They are all quick to credit 90% to my Fitness Together program. 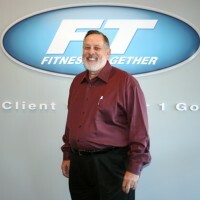 Anyone with fitness goals and willing to make the commitment to reach those goals need to contact the folks at Fitness Together and see what they can do for you. YOU WILL BE AMAZED. 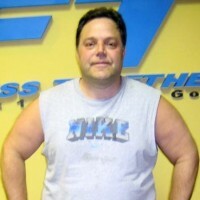 I have been training with Justin at Fitness Together for several years. I was encouraged to train by my family, and the size 40 pants I had ordered for the first time in my life. 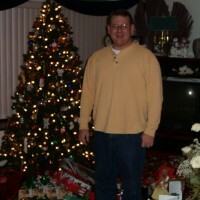 I was around 225 lbs at 5’10”. Through training with FT, I’m now at 177 lbs* and wear 32 size waist*. I also consider my self in pretty good health. I have found that unless I have a trainer who expects me to train consistently, I’ll usually choose to spend my time on work or family needs above fitness. So regular training is part of my life, although 11 months ago I had no idea how big and important role it would play. 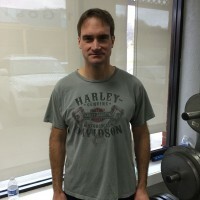 In January 2014, at age 39 and after a year of consistent training, I woke up in the middle of the night with chest pain. After several hours of this, a friend took me to an emergency department. I fully expected to be embarrassed, as I knew it was going to only be indigestion. I was shocked when the doctor came around the corner and said, “Mr. Nunn, your heart is not working normally. We have contacted the cardiac specialist and are about to prep you for surgery.” Needless to say, I thought I was in pretty good health and was shocked by this news. Justin had just performed my evaluation which showed my resting heart rate was 58* and all the scores looked good. I also recently passed my annual physical with top scores*. The physician advised me I had an artery collapse on my right side, and the team installed a stint to repair the collapse. If I had not been consistently training on a regular basis, this event in my life may have resulted differently. My family and I appreciate Justin and Fitness Together for continuing to keep me engaged and motivated. 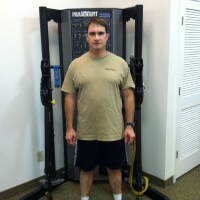 "I decided to get a personal trainer to help me build my strength, endurance, and generally get fit. Because of an ongoing chronic illness, I had really gotten out of shape, but I had also gained weight from medications. My energy levels were so low that I was tired all the time. It has taken time-and a lot of patience on the part of the FT-Nashville trainers-but I now feel very healthy, strong, and fit. The measure of success for me is not the numbers on the scale, but how I feel. I have energy again, and my endurance has really increased. I feel strong for the first time in six years. I have exceeded my personal goals. My goal when I joined was to lose the weight I had gained from my medications and get a little fitter. I never imagined that I could gain the strength and endurance I now have. I feel like a new person inside and out." 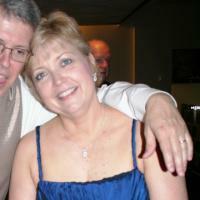 "Three years ago, I had kidney cancer. I had been taking medications that caused adverse side effects—weight gain, tiredness, sleep problems, and an overall lack of energy. 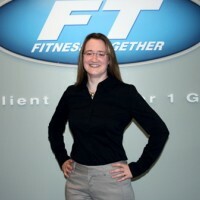 I called Fitness Together-Nashville because I wanted to work with someone who could assist me with my overall health goals.I realized I needed a lifestyle change, not just a diet. Since starting at FT-Nashville, my energy level has dramatically increased. I have also noticed a tremendous increase in strength and stamina. I train three days a week. Each of those days, I wake at 5:30 a.m., and I am anxious to get to my session. I have tried other “weight loss” programs with no long-term success. Now, I do not concentrate on how much weight I have lost. I am more concerned with how well I feel everyday. I have not attained my final goal, but I plan to continue with this program for one very important reason—I am making an investment in myself and in my health." I was uncomfortable with my body and knew it was time for a change. I had tried many other programs and none had given me results. That’s when I found Fitness Together-Nashville and began the journey to the new me. 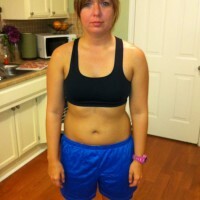 In 12 weeks, I lost 30 pounds of bodyfat and trimmed away 6 inches from my waistline. 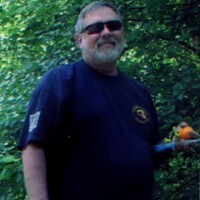 * Altogether I have lost 45 pounds of bodyfat, and I feel better than ever. Throughout the process everything got smaller except for my smile. Thank you, Fitness Together! Not every client comes to Fitness Together to lose lots of weight. Many come to improve their strength, physical endurance, and overall health and well being. When he headed off to the academy, Eddie had lost 16 pounds of fat and dropped his body fat from 19.3% to 12%*. He can now do 46 full pushups and 32 situps, plus he can run 3 miles on hilly terrain in 27 minutes. All of these measurements fall well within the range of the academy's requirements. Almost a year ago to the day, I started losing my vision in my right eye. What I thought was a simple eye infection was the beginning of a series of strange symptoms and optic neuritis that eventually led to my diagnosis of Multiple Sclerosis. The symptoms of the disease and side effects of medications are tough but the worst part was the weight gain. I went from being a healthy avid rock climber and outdoor enthusiast to being overweight and having no energy. I wanted to get my fit and healthy body back. I wasn’t sure if I would be able to do the workouts but Holly and her Fitness Together team reassured me. I decided to go for it. What did I have to lose? Nothing! Now I am getting complimented all the time and it only took 21 days! I have lost almost all of my tummy fat and I feel better than I have in years*. The best part is that I'm positive that the nutrition and exercise are minimizing the symptoms and helped me get my quality of life back. Soon my husband and I will be celebrating our 3 year anniversary in Seaside, Florida and I can’t wait to wear my bikini and a smile! 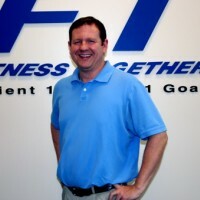 "Getting a new driver's license triggered my first visit to Fitness Together-Nashville. When I compared the pictures, I didn't even look like the same person. I was a computer programmer living on coffee, Mountain Dew, sugar, and fast food. I would be out of breath just walking in the building in the morning from the parking lot and climbing stairs. I had gotten so out of shape that I knew I couldn't do it alone. I like FT-Nashville because the program is personalized. I like the private environment and the fact that you are dealing with a single trainer. Nobody has ever made me feel like I can't do something. My workouts are challenging, but enjoyable. They're tailored to the areas I need to improve. I've met my first goal, and that was to weigh under 200 pounds. My stamina is a lot better. My heart rate has dropped. My blood pressure has dropped. I am sleeping better. I just feel better. It's been a good thing." Simply put, I decided to give an hour or two of my day to myself. To improve my overall physical and mental well being. I have decided that it takes me the effort of working out and the only way I can get this done is to do it first thing in the morning. I know that it took me more than a week or a month to gain all the weight that I used to carry around. I know that in order to get rid of a bad habit you must replace it with a good habit. Habits take weeks if not months to establish. I want to keep working on the good things that I want to become. One of my goals is to lose 18 more pounds. Another goal is to be able to look in the mirror and finally be able to see a thinner, healthier person. I still don't allow myself to feel totally comfortable with that. I have had friends tell me that I am skinny. In my sight I don't believe that although I am certainly thinner than I was. I know that everyday matters and I am trying to succeed in the journey and not allow myself to believe that I have reached the destination. I decided to get a personal trainer to help me meet some very specific goals. 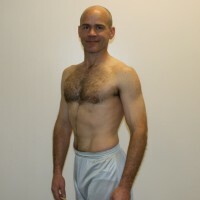 I wanted to lose weight, tone up, and improve muscle strength, especially in my neck. I came to Fitness Together-Nashville after seeing an ad in the newspaper. I liked the idea of working out in private with a trainer. Over the past two years, I’ve met and exceeded all of my original goals. Not only did I improve my overall strength, I lost 28 pounds and have so much more energy*! My trainer is able to really push me to do my best! The program she has developed for me has been both challenging and fun, and I continue to set new goals. How good does it feel to lose 25 pounds* and be in great shape? Kay Thiele can tell you. A school librarian at Stratford High School, Kay says she is amazed at how much stronger she is and how much more energy she has. Her trainer, Edward Morton, says that's because she works hard in and out of the studio. "Kay is driven," he says. "She's willing to listen and learn, but she's also one of those rare clients who is willing to do what it takes on her own to achieve her goals." A mother of two, Kay says she's not stopping yet. Her next big goal is to lose 25 more pounds before her firstborn's graduation from Baylor College of Medicine in Houston next May. We have no doubt she'll make it! 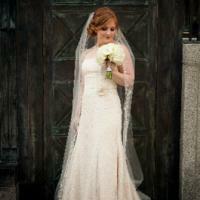 Every bride wants to look her best on her wedding day, but Stephanie Clayton decided working with a personal trainer was the best way to achieve her fitness goals. Though she lost 40 pounds before she began working out at Fitness Together, Stephanie admits she didn’t go about it the right way and her weight had begun to creep up again. 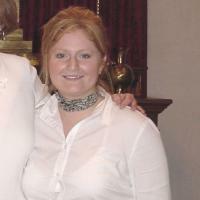 Since beginning at FT-Belle Meade, the busy pharmacist has continued to lose pounds* and has whittled 4 inches off her waist* while dramatically increasing both strength and flexibility. Her lung capacity has also improved so much that exercise-induced asthma no longer plagues her during her workouts*. When she started at Fitness Together, Yvonne could barely walk half a mile without getting tired. 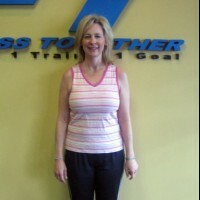 Now, she's a regular at our Cool Springs studio where she works out and does cardio five days a week. 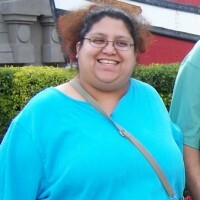 "I decided I needed to get a personal trainer because I needed to stay focused and on track," Yvonne says. "I needed someone who would push me and keep me motivated." Yvonne's perseverance and diligence have paid off. 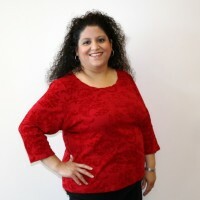 She has dramatically increased her strength, and she has lost almost 50 pounds in recent months*. "I have met my first goal, and I know I am going to make my next goal," she says. "I can't thank Fitness Together enough for everything they have helped me accomplish."